Reliable highly efficient small DuCaR PTO driven irrigation pump. 35 m³/h @75 m head. Comes with frame, fittings and drive shaft! DuCaR PTO Pumps are an excellent choice for high performance sprinkler irrigation. These pumps are quick and easy to setup to begin irrigating in minutes! If you have a tractor that you want to utilize as the power source, PTO Pumps are a great choice and are capable of large amount of water flow output with high pressure performance. 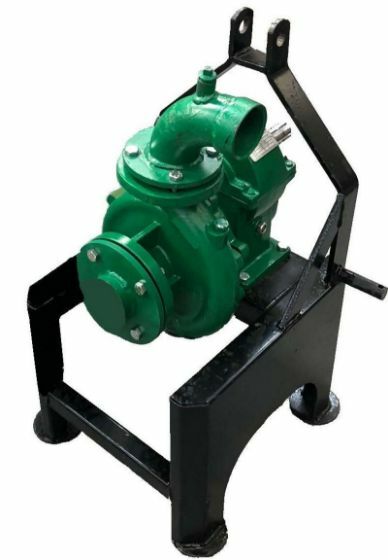 These pumps are completely cast iron construction, reliable and efficient that you can use long years. Every farmer should have one of the DuCaR tractor PTO pumps. No more messing around with small engines or maintaining a dedicated trailer mounted water pump engine. 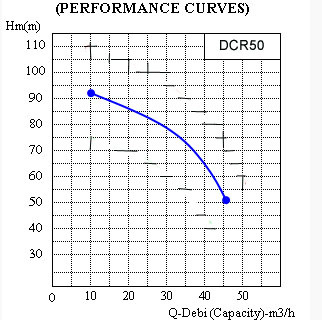 Vary the PTO speed and engine rpm to change your discharge pressure and flow rate. Ideal for large water transfers, temporary irrigation and so much more. 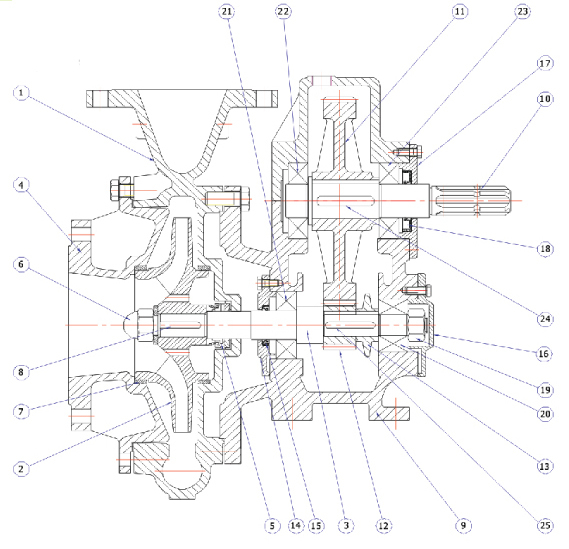 Each unit is supplied with the 3-point linkage frame, inlet/outlet flanged fittings and a PTO shaft. The mechanical shaft seal, heavy duty impeller and pump liner ensuring many years of reliable operation.